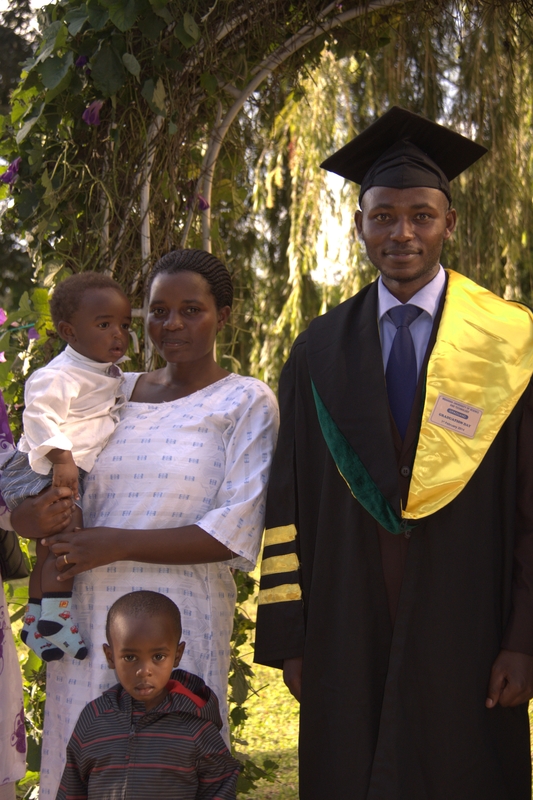 By sponsoring a course of study, you make it possible for sponsored children who have passed a good Abitur (A–level exam) to study at a university. We make sure that the children only study at universities that offer a state–approved examination. We leave the choice of subjects to the school leavers themselves. Unlike in Germany, however, their choice of subjects is already restricted by the subjects taken in the last few school years. For example, only those who have completed their studies in biology can begin medical studies. After graduating from school, students apply for a place in their desired subject at selected universities in the state. It then takes a while before they are informed whether the respective university offers them a place and in which subject. All students have to move to one of the big cities of Uganda, where they live either in a small shared flat or in a student residence. The cost of studying in Uganda is about 1500 € to 2500 € per year (depending on the place of study). As a rule, the costs are borne jointly by several sponsors, so that it is possible to take over a sponsorship from an annual fee of 100 €. The annual fee includes tuition fees, rent and living expenses, so that students can concentrate on their studies. Only smaller additional costs or personal wishes have to be financed by the students themselves, for this we encourage the students to take over small jobs during the semester break, which is possible for young people without problems. We are proud that the first of our sponsored children have already completed their studies and are working successfully as teachers. Irrespective of the amount, each sponsorship contribution is assigned to one permanent student. On request, you will receive information about your sponsored child and the status of his or her studies.